At the end of the 19th century London, England at its height of prosperity since the industrial revolution. 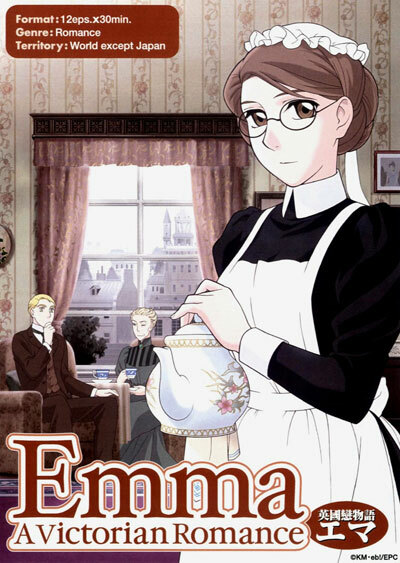 Kinless Emma is a housemaid for elderly Kelly who used to be a governess at the upper-class Jones residence. Kelly's former pupil, William Jones, falls in love with the humble and intelligent Emma. Despite the inexorable difference between their classes, their secret romance quietly continues to bloom. © KM. Eb!/EPC. Licensed by FUJI CREATIVE CORP. through Animation Int'l Ltd.